Hnefatafl, meaning King’s Table (or literally, Fist Board Game) in Old Norse, is an asymmetric game of pure strategy played by the Vikings and neighboring people with many variations. Its origins are unclear, but it seems that it has appeared during the Viking period, in the 7th or 8th century CE, in Scandinavia and other lands which the Vikings have conquered, as accounted for in archaeological finds of Hnefatafl pieces. Tawlbwrdd is the Welsh variation of Hnefatafl, played on 11×11 grid board. The original number of pieces in the game has been recorded in a Welsh book of laws from the 13th century, where a law regarding gambling prices from playing Tawlbwrdd for money was recorded. The drawing of Tawlbwrdd board, a different number of playing pieces, some basic setup description, and some rules, have been documented in May of 1587, in a Welsh manuscript, by Robert Ap Ifan, a Welsh noble. No boards of Tawlbwrdd have been found in Wales in an archaeological setting. 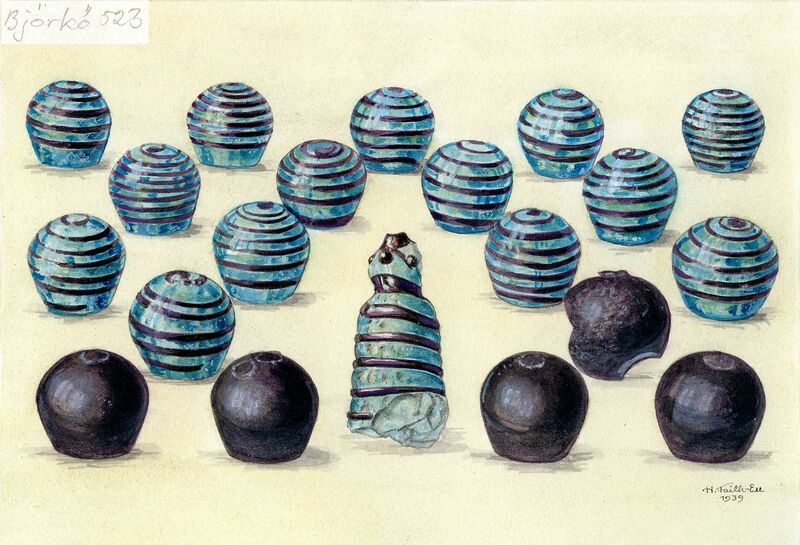 A Drawing made in 1939, of the glass Hnefatafl pieces found in Björkö, Norr om Borg, Grav, Kammargrav, Sweden (Bj 523). The pieces and the drawing are kept in the Historiska Museum, 106813, in Stockholm, Sweden. The following law is recorded in a manuscript from the middle of the 14th century, that contains a part of the Venedotian (North Wales) Code, a subset of laws of Wales, known as Cyfraith Hywel (The Laws of Hywel), that was originally established by the King of Wales, Hywel Dda (Hywel the Good), during the 10th century, and was in use from approximately 942 when Hywel Dda united Wales, until 1536 when Wales was annexed to England. The manuscript is currently kept in the Peniarth Collection at the National Library of Wales, Peniarth 32, Folio 111v3-111v22. Welsh text from Owen, Aneurin, Ancient Laws and Institutes of Wales, 1841. Volume 2. Book 5, Chapter 2, Law 149, pp.94-97. the eight men. And the half of that is the worth of the Tawlbwrdd of an uchelwr (upper class warriors horsemen). English translation from Owen, Aneurin, Ancient Laws and Institutes of Wales, 1841. Volume 2. Book 5, Chapter 2, Law 149, pp.94-97. (Y) talbwrdd ychod afydd raid ichwarau abrenin yn y kanol adeyddeg owyr yn ylleoedd nesa eto ef a ffedwar gwyr ar higain ai disgwilioddef yw ddal, sef gosod yr hai hyny chwech ynghanol pob talken yn ychwe lie kanolig. a (d)au afydd yn ysmudaw y gwyr am ychwarau, ag asdaw urun irbyrenin rwng ydisgwilwyr marw yw ai daflu or gwarau, ag os daw yr un or disgwilwyr rwng dau ir brenin yr un modd. as y brenin i hun a ddaw rwng dau or disgwilwyr, ag odoedwch kyn ysmudo ir kyflau hwnw gwiliwch (ei)ch brenin, ag yntau heb allel ffo chwiellwch i ddal. os dowaid un gwrh(eill) (?) amynd rwng dau nidoes niwed os gall y brenin fynd ar hyd yllin(ell) enillodd y ty hwnw y chwarau. Welsh text from Lewis, Frank. “Gwerin Ffristial: a Thawlbwrdd.” The Transactions of the Honourable Society of Cymmrodorion 1941 (1943): p. 194. The above board must be played with a king in the centre and twelve men in the places next to him, and twenty-four lie in wait to capture him. These are placed, six in the centre of every end of the board and in the six central places. Two players move the pieces, and if one belonging to the king comes between the attackers, he is dead and is thrown out of the play; and if one of the attackers comes between two of the king’s men, the same. If the king himself comes between two of the attackers and if you say “watch your king” before he moves into that place, and he is unable to escape, you catch him. If the other says gwrheill and goes between two, there is no harm. If the king can go along the line that side wins the game. English translation from Walker, Damian Gareth. An Introduction to Hnefatafl. Cyningstan, 2015. p. 25. The game is for 2 players. 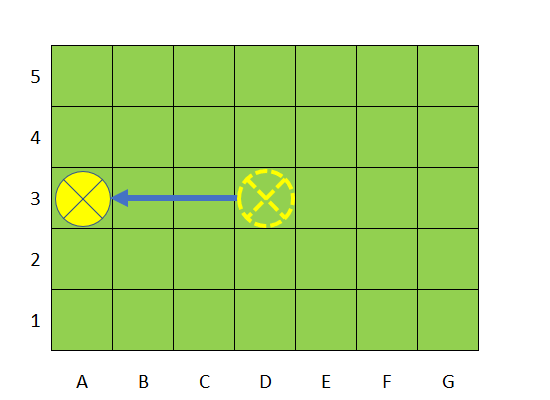 The board is a square with a 11×11 grid. There are 45 pieces total: 24 attackers, 12 defenders, and 1 king. The first player plays for the attackers. The second player plays for the defenders and the king. There are two possible initial positions for Tawlbwrdd. The first one was proposed by Frank Lewis and is known as the Lewis Cross. It is shown in the following diagram. The king is placed on the throne. The defenders surround him in the shape of a cross, 3 defenders per line. The attackers are placed on four sides in two lines with 3 attackers per line. The second initial position was proposed by RC Bell and is known as the Bell Diamond. It is shown in the following diagram. The king is placed on the throne. The defenders surround him in the shape of a diamond. The attackers are placed on four sides in two lines with the front center attacker extending into the 3rd line. The central square, called the throne, may only be occupied by the king. The king can go in and out of the throne at any time. Other pieces may pass through the throne when it is empty, but are not allowed to land on it. The throne square is hostile to both the attackers and defenders, meaning that when it is empty it can replace one of the two pieces taking part in a capture. The attackers move first. 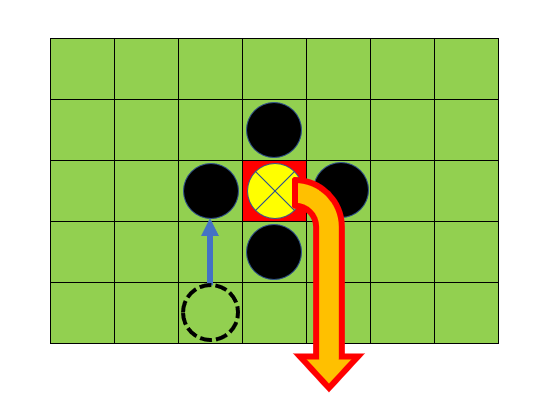 The two players alternate their moves. All pieces, including the king, move any number of vacant squares along a row or a column, like a rook in chess. All regular pieces (see about the king below) are captured if they are sandwiched between two enemy pieces, or between an enemy piece and the throne, along a column or a row. Multiple captures in one move or capturing with the king is allowed. 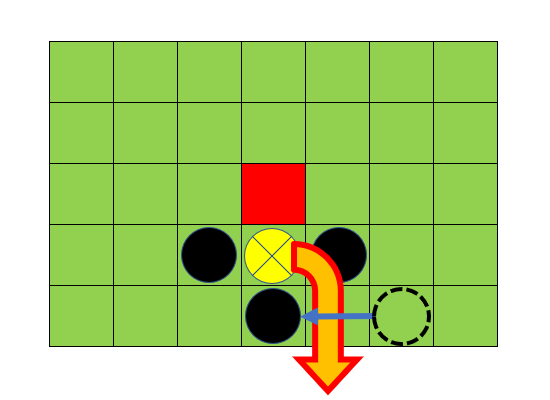 A piece is only captured if the trap is closed by a move of the opponent. 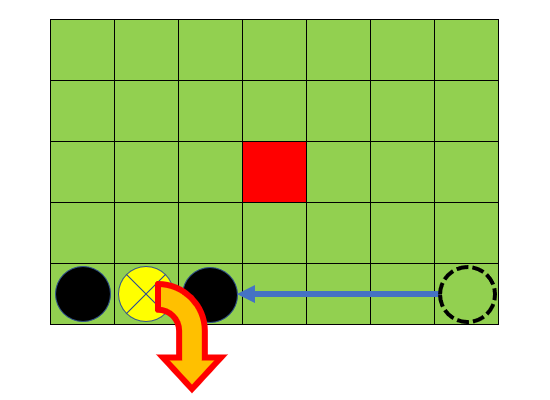 An opponent’s piece is allowed to move in between two enemy pieces without being captured. The two sides have different goals to win the game. The goal for the defenders (king’s side) is to move the king to any edge square. If the king has escaped to the edge, the defenders win. The attackers win if they can capture the king before he escapes to the edge. The king is captured like all other pieces by being sandwiched between two opposing pieces. However, if the king is on the throne or on one of the four orthogonal squares next to the throne, then in order to capture him the attackers must surround him on all four sides, and not just two. If the king is captured on a cell adjacent to the throne, the throne can count as one of the four capturing sides and may remain empty during capture. If the attackers surround the king and all remaining defenders, to the point that the king cannot escape, then the attackers win. 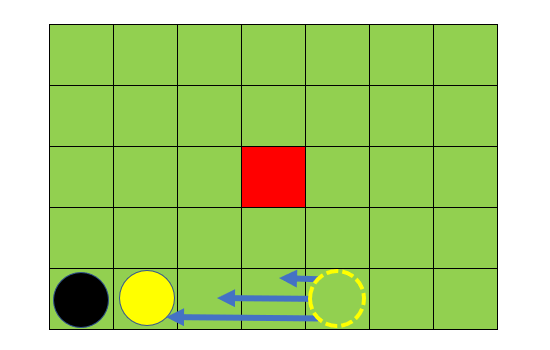 3 repetitions of the same move by the same player in a row are not allowed. 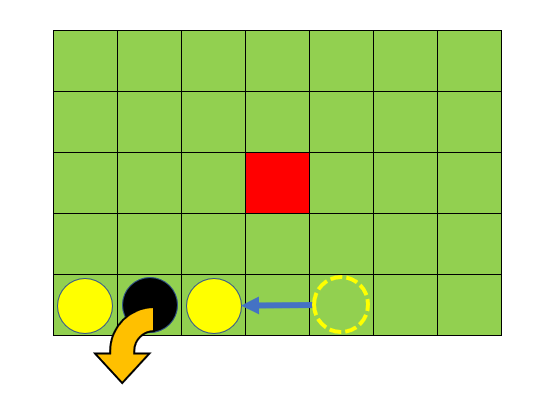 If 3 repetitions in a row are made the repeating player loses the game. 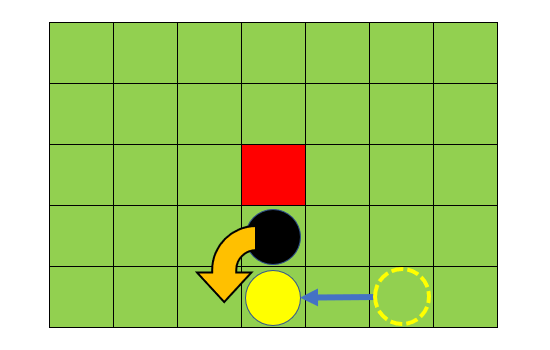 If a player cannot move they lose the game. 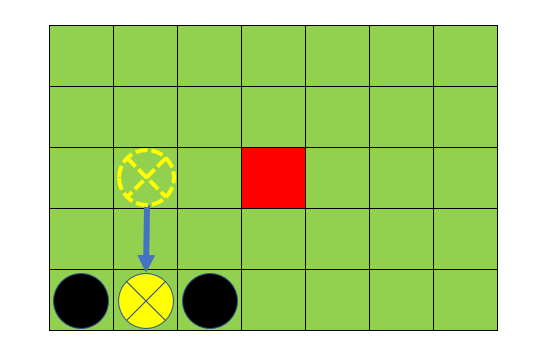 According to the rules presented above, the balance of Tawlbwrdd between the attackers and the defenders is similar to chess. In chess since white go first they have about 52-59% chance of winning compared to the black, as has been documented in many different tournament statistical analyses. Aage Nielsen documented based on tournament results, that Tawlbwrdd is -1.12 balanced on average, meaning that the attackers win about 11% more often. In other words, the attackers win in Tawlbwrdd 61% of the time, compared to 52-59% of the white in chess. According to Nielsen’s experiments on different Tawlbwrdd initial game setups, both the Lewis Cross (-1.12) and the Bell Diamond (-1.08) initial positions result in a very balanced game. 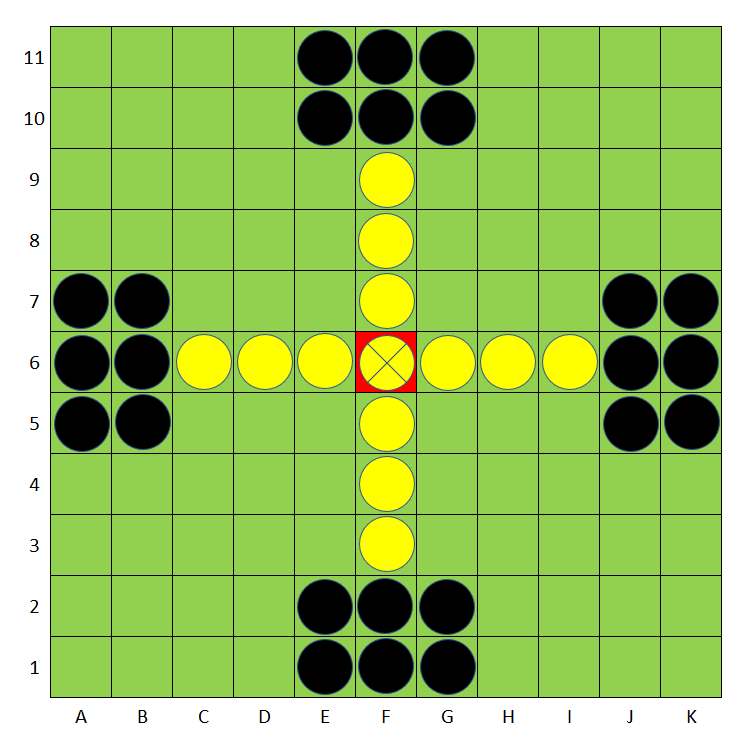 Since Hnefatafl is asymmetrical, each of the players must use a different strategy to win. The attackers need to form a blockade around the defenders so that the king gets surrounded and eventually eliminated. As long as the ring around the king remains unbroken he cannot escape. The blockade is formed by positioning the attackers in the shape of a rhombus on a diagonal of each row. 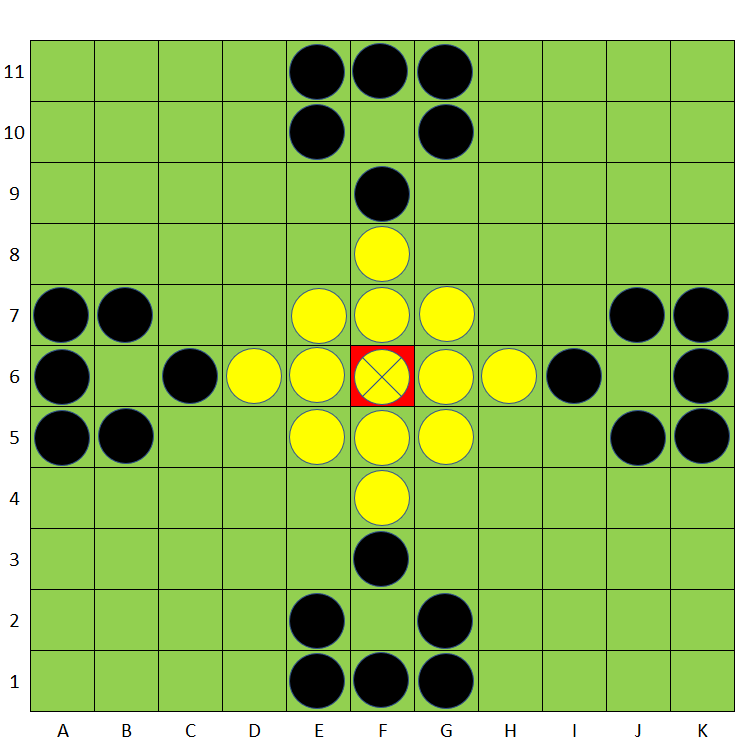 Once the blockade is formed that attackers need to slowly make the rhombus smaller and smaller around the center of the board and tighten the noose around the king. 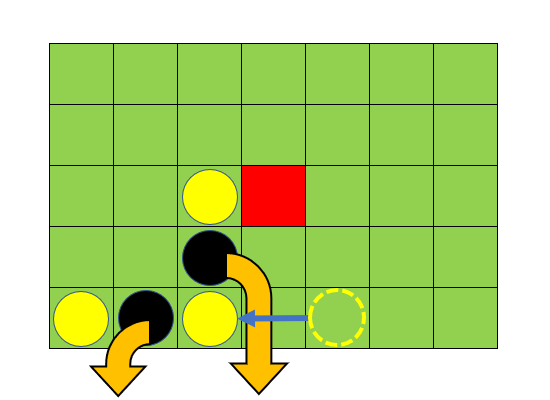 The goal for the defenders is to constantly create gaps in the blockade and have the king escape through one of those gaps to the edge of board. Placing defenders behind the enemy lines makes it much easier for them to eliminate more attackers and break through the blockade. Some chess tactics are applicable in Hnefatafl as well. Forcing the opponent to make a particular move in order to avoid losing the game can be very useful. 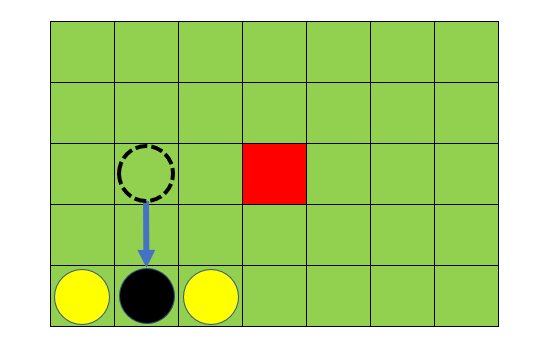 Creating a fork where one piece can attack multiple opponent’s pieces can provide an advantage. 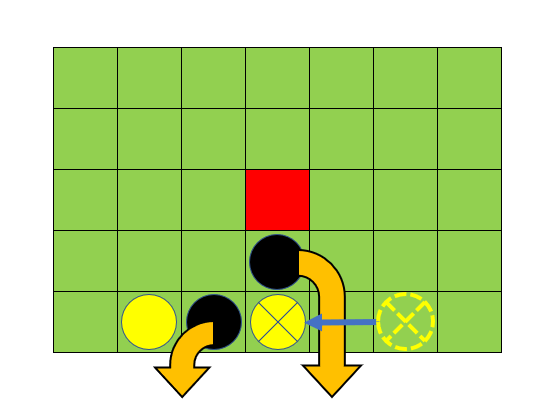 Pinning a piece, which prevents it from being moved from its location by the threat of losing the game, is another useful tactic which gives the player the control of the board. Lewis, Frank. “Gwerin Ffristial: a Thawlbwrdd.” The Transactions of the Honourable Society of Cymmrodorion 1941 (1943): 185-205. Evans, J. Gwenogvryn, Llewelyn Nevill Vaughan Lloyd-Mostyn Mostyn, William Robert Maurice Wynne, and Sir John Williams. Report on manuscripts in the Welsh language. Volume 1. Pt. I. The Welsh manuscripts of Lord Mostyn, at Mostyn hall. Pt. II-III. Welsh manuscripts at Peniarth, Towyn, Merioneth, the property of William Robert Maurice Wynne, HM Stationery Office, 1898. Peniarth MS 158, folio 4, p. 942-945. Owen, Aneurin, Ancient Laws and Institutes of Wales, 1841. Volume 2. Book 5, Chapter 2, Law 149, pp.94-97. Walker, Damian. Reconstructing Hnefatafl. Cyningstan, 2014. Walker, Damian Gareth. An Introduction to Hnefatafl. Cyningstan, 2015. Bell, R. C. Board and Table Games from Many Civilizations. Courier Corporation, 2012. Part 2, p. 43. Hey Buddy!, I found this information for you: "Hnefatafl – Tawlbwrdd". Here is the website link: https://www.ancientgames.org/hnefatafl-tawlbwrdd/. Thank you.